Principles of Real Estate Practice in Illinois contains the essentials of the national and Illinois real estate law, principles, and practices necessary for basic competence as a real estate professional and as mandated by Illinois license law. It is based on our highly successful and popular national publication, Principles of Real Estate Practice, which is in use in real estate schools nationwide. Principles of Real Estate Practice in Illinois is streamlined, direct and to-the-point. It includes multiple learning reinforcements. It has a student-oriented organization, both within each chapter and from chapter to chapter. Its examples and exercises are grounded in the authors’ many years in real estate education. Can Principles of Real Estate Practice in Illinois be used for the online prelicense and/or CE courses? Absolutely. 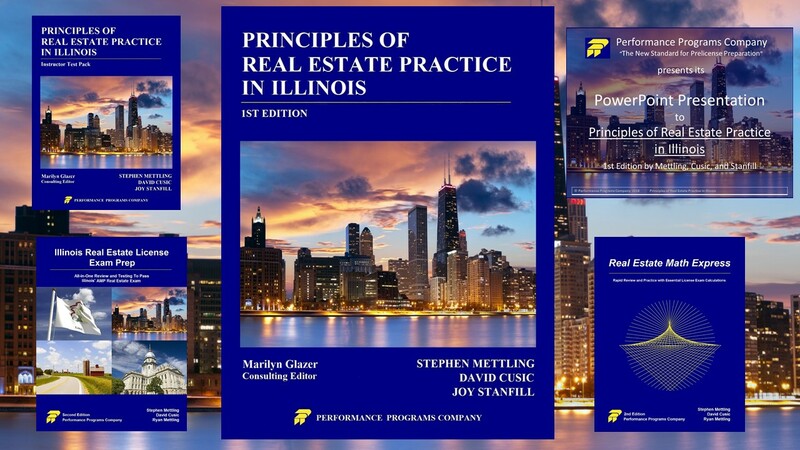 Principles of Real Estate Practice in Illinois and our other books can be used for online courses through our company’s unique licensing agreement. Our material can be used either to develop new courseware or to improve existing online courses. Once we receive a signed agreement, we email all the digital formats (PDF, Word, ePub) of the textbook and supplemental resources that you can use to create or improve your own online courses. The materials can be copied in the screens, used for reading assignments, converted into audio/video/PowerPoint, etc. behind your school’s learning management system. Feel free to ask us for more information regarding licensing and to see our textbooks’ licensing agreements. 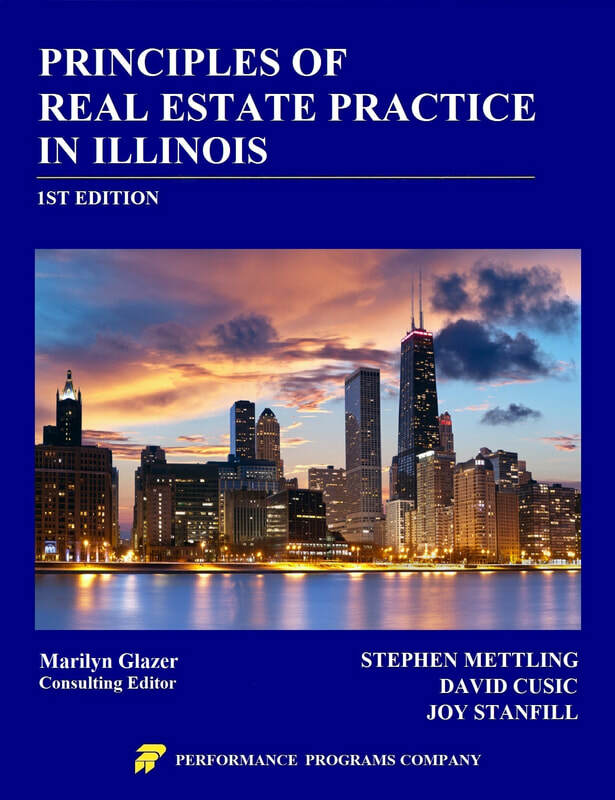 Call or write today for your complimentary copy of Principles of Real Estate Practice in Illinois by Mettling, Cusic, and Stanfill. Find out why more and more schools are switching to Principles of Real Estate Practice in Illinois! Marilyn has 40+ years’ credentials in real estate education as well as holding her real estate managing broker’s license in Illinois. Marilyn has been a career real estate prelicense and CE instructor known throughout Illinois and has also authored numerous continuing education courses that have been used throughout the real estate industry. She has received the Educator of the Year Award from the National Association of Realtors® and from the Association of Illinois Real Estate Educators. Marilyn obtained her Master’s Degree in Adult Education and has earned the AHWD, GRI, CRS, CRB, and PMN designations.